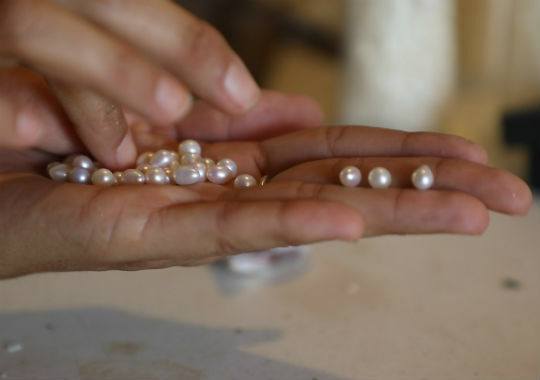 In the north of Cozumel, a family produces “Pinctada radiata”, a sparkling and stunning pearl that is found in just a few regions of the world. 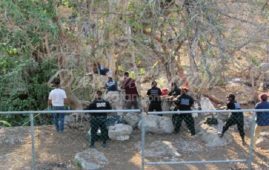 However, the true worth of this jewel lies in the difficulties they face to obtain just a single piece, México Desconocido reports. COZUMEL, Q. Roo. 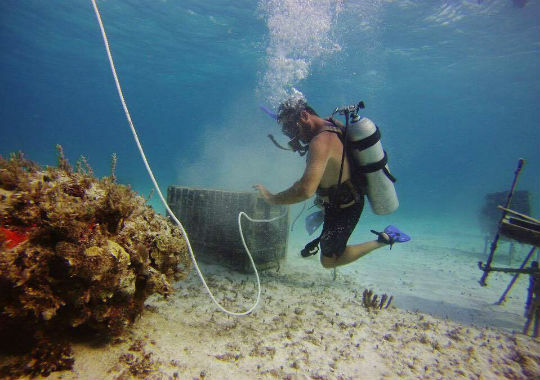 — In 2001, the Caamaño family, from Mexico City, left everything they had and ventured on their own to build a pearl farm five meters (16 ft) under the sea in the north coast of Cozumel. No one had dared to do such thing due to the fear of losing all their investment during the violent hurricanes that are prone to hit this region of the Atlantic Ocean. Over the next four years, these entrepreneurs did everything to make sure that the pinctada radiata oysters, which were inside boxes under the sea, had the necessary conditions to produce pearls for the first time. Nonetheless, little did they know that hurricanes like making people feel safe while enjoying the calmness before unleashing their fury on them. Category 5 hurricane Wilma destroyed the pearl farm on October 21, 2005. Oyster breeding sites were lost, implantation labs were expelled to who knows where by winds of 280 kilometers per hour: gusts of wind capable of lifting trucks and tearing down homes. Francisco Caamaño along with his children, Isabel and Francisco, went to see how their farm ended up after the hurricane hit the coast, only to see that there was nothing left of their four-year dream and efforts. They were so devastated that giving up was their first choice; however, they chose not to and decided that improvements had to be made to not lose everything again. They obtained water bores to make holes of a meter and a half (5 feet) on the seafloor, in order to secure the bases that support the aforementioned boxes. A few meters away, they placed an image of Our Lady of Guadalupe looking towards the farm; who knows if technology and faith are working together, but 12 years have passed and they have extracted three pearl harvests and the farm is still on its feet. Francisco Caamaño recalled the story while navigating the sea of ​​Cozumel, with Mexico Desconocido reporters, on aboard the boat “The Oyster”. Once they arrived at the pearl farm, Isabel Caamaño, Francisco’s daughter and biologist, showed them how “with the delicacy of a neurosurgeon they take out the oysters to start producing pearls”. After the explanation, they immersed into the deep crystalline waters and dove to the pearl farm. The image of Our Lady of Guadalupe as well as the boxes are full of seaweed, explained Isabel. Sometimes tiny newborn crabs get into the boxes, then they soon become adults and devour the oysters. Thus, constant cleanings have to be done to avoid this type of disaster. Laura, Francisco’s girlfriend, is the one that dove deep into the ocean to point out every detail of the production done under the sea. 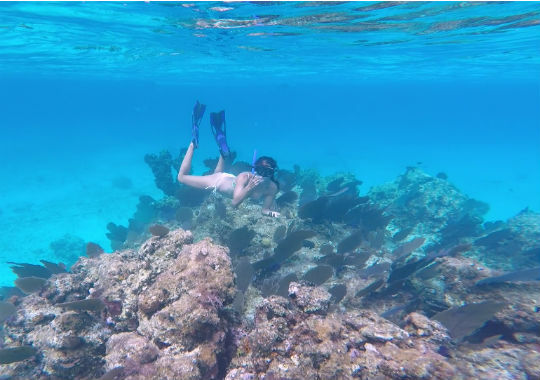 The water is incredibly clear in this part of Cozumel, allowing people to see the enormous marine fauna that abounds there.